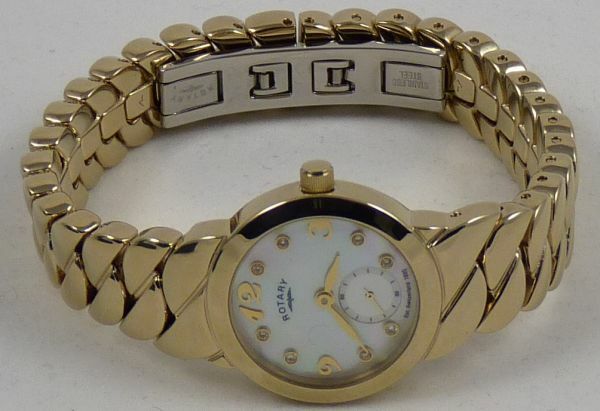 Women's White Crystal Yellow Gold Plated. Perfect for conveying class and elegance. 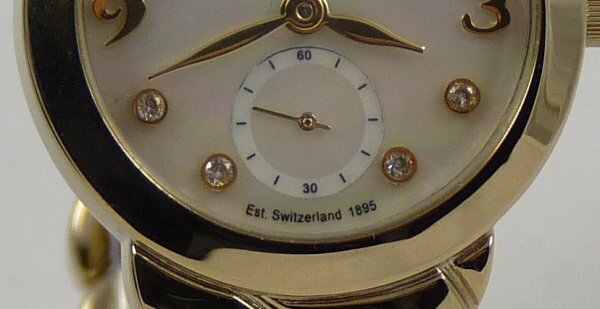 Features seconds sub-dial at 6 o'clock position. 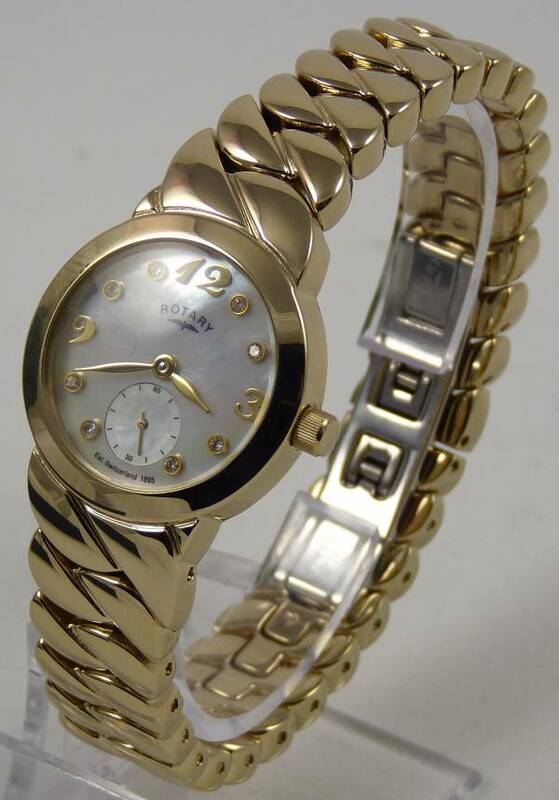 Contemporary barrel-shaped, real gold-plated stainless steel case with screw-down case back. Case approx. 26mm width x 8mm depth. 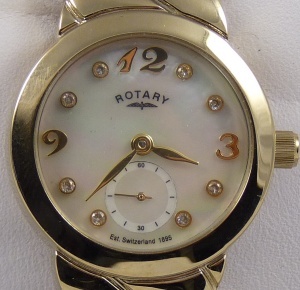 A beautiful Rotary with a unique bracelet and 8 crystal set dial. 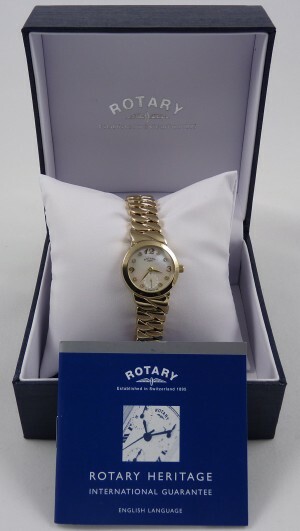 This watch retail for £139. + in high street retailers. 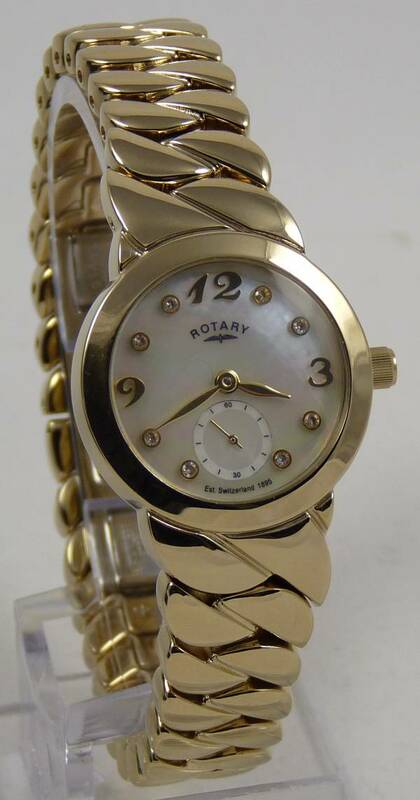 Dial Colour: White mother of pearl dial with yellow gold tone hands, arabic numerals and white crystals hour markers.